Intensive training and conditioning is a significant part of becoming a member of the Special Weapons and Tactics team. 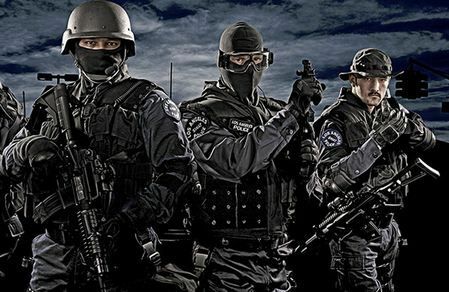 It is often the case that police officers can volunteer to become a SWAT team member, though there is typically a minimum year requirement necessary to be selected. Selection for SWAT team members can be rigorous. These are the men and women who perform the highest risk actions that regular police officers do not. They may take part in counter-terrorism operations and deal with hostage situations. Their day may include serving high risk search warrants and using specialized weapons. Officers must engage in special courses after they are selected to participate in SWAT team training courses which often include those in marksmanship, which help to develop shooting skills with stationary and moving targets. Officers will learn about explosives and defensive tactics that could save lives. Not only must these officers learn about first aid and general safety skills, but the will also learn to negotiate with suspects in hostage situations. They may choose to specialize in working with K9 units or rappelling as well. 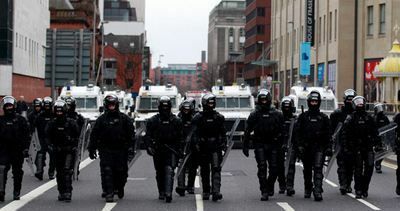 SWAT team members must be physically agile. There is an emphasis on physical fitness to ensure that officers are suited to withstand every event that they may encounter. Even after training, team members are expected to maintain a constant state of fitness. This may include running for long distances, occasionally while wearing heavy equipment. Officers should have no problems performing extensive sit-ups and push-ups. There are also obstacle courses and simulations as a part of the training process. Some of this information may be tested physically, orally or on paper. There is also psychological testing associated with becoming a SWAT officer, just as there is for becoming a regular police officer. These tests are meant to ensure that the candidate can endure all the emotionally taxing aspects that characterize being on the force. Training for SWAT team officers differs from place to place. In areas where little experience is necessary, training may be less than 20 hours a month. In cities where there is a higher necessity for trained members, it can take considerably more time to get up to speed.